Update 31 Jan 2013: Watch the highlights from the day here. Earlier this year, we opened up the doors to Covent Garden with a whole day of ballet rehearsals broadcast live to the world. Following on the success of Royal Ballet LIVE, we’re delighted to announce that on Monday 7 January, we’ll be broadcasting Royal Opera LIVE around the world - an unprecedented glimpse into life behind the scenes with The Royal Opera, with live rehearsals, interviews and insights direct from London’s Covent Garden. You’ll be able to watch over ten hours of uninterrupted programming, starting at 10.30am GMT via The Royal Opera House website, The Space and the Guardian. Highlights will include glimpses into stage rehearsals from The Minotaur, a chorus call for our new production of Nabucco and rehearsals for Director of Opera Kasper Holten’s new production of Eugene Onegin; his first production for The Royal Opera. Associate Director John Fulljames will present a model showing of his new production of La donna del lago, giving the audience an exclusive glimpse into what the opera will look like, including set and costume designs. 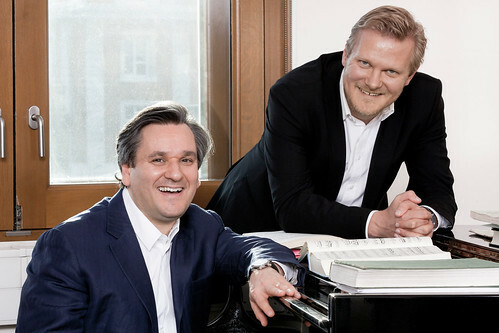 There will be a unique opportunity to see a vocal masterclass in which Music Director Antonio Pappano will work with a singer currently on the Jette Parker Young Artists Programme. 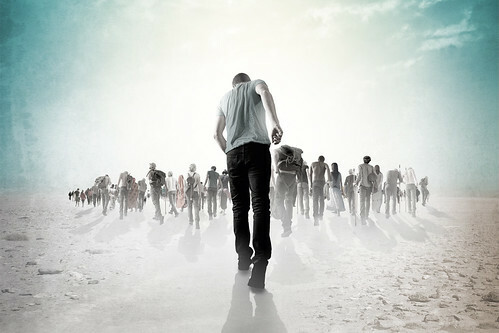 The day will conclude with an exclusive look at all the action that occurs behind the scenes during a live performance. 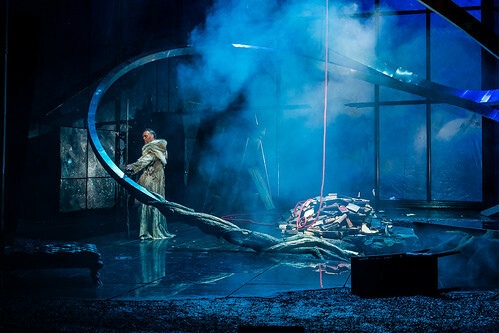 Viewers will be able to experience Act III from Wagner’s Die Walküre, pre-recorded earlier in the Season, made possible with support from Deloitte as part of an ongoing collaboration with the Royal Opera House. Twenty-one cameras positioned in unique locations will capture the action: from above the stage to the trap door, to the orchestra pit and the wings. 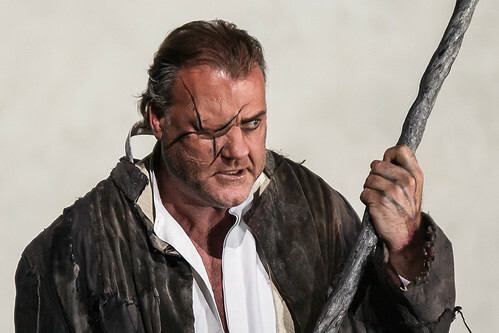 You’ll be able to see opera stars such as Bryn Terfel preparing to take to the stage, and all the special effects realized by the technical team. What’s more, via The Space, you can choose to watch the action from three different perspectives: from backstage, with the stage manager’s calls, lighting cues and all the stage technology in action behind the scenes; join conductor Antonio Pappano in the pit, or a wide-angle of the onstage action. 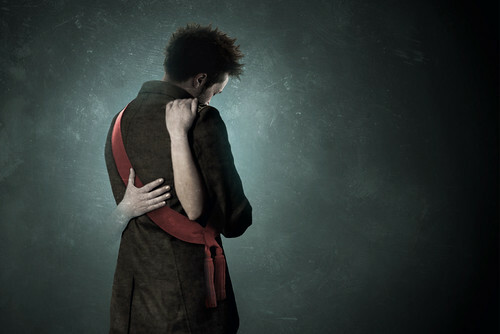 This is a first for online opera streaming, and something we’re very excited about. Wherever you are in the world, we hope you’ll be able to join us on Monday 7 January. And why not "Robert le Diable"?! Thanks for your comment. 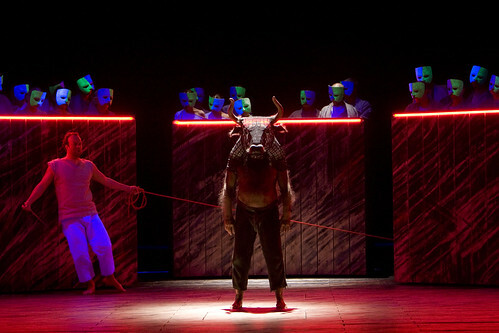 We weren't able to include Robert le diable because its run ends before 7 January. 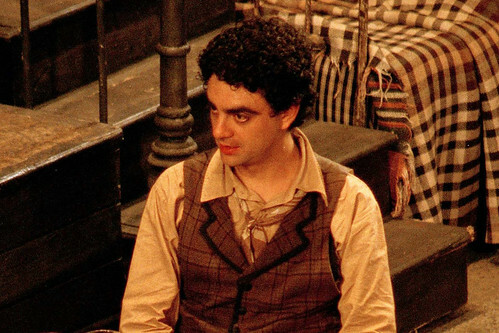 This date allows us to show behind the scenes on many of the other operas on stage and in rehearsal at the time. Hope that you enjoy the day! Sounds great! Shame it isn't on a weekend though - would have liked to have watched the whole thing! Will it be able to view again after the day? Yes, we'll have highlights online after the event. Munich has been streaming operas since over a year, why so slow in London? 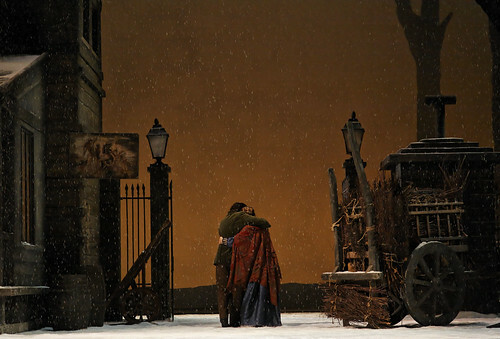 In this case, it's not just an opera that we're streaming - Royal Opera Live is a whole day of behind the scenes filming for a number of operas including La bohème, Eugene Onegin, The Minotaur, La donna del lago and Act III of Die Walküre. We hope that we'll give a greater in depth look at how opera is created and staged than streaming a performance. Greattt!!!! but please do consider offering it in full as video on demand or such for a period after! quick question, will this be available outside the UK as well? Yes, it'll be available around the world. Cette initiative est absolument géniale et passionnante. Sera-t-il possible de revoir cette vidéo dans les jours qui suivront le 7 janvier ? am looking very much forward to this. i see that it's going to be on "the space" as well - which brings me to a question (request). i see that the roh production of "les troyens" is no longer on "thespace" - any chance of it getting back on there...or/and another roh production perhaps? Is there a timetable please? A timetable will be made available in due course. Well done ROH! It's a great thing! I had the pleasure to participate at your backstage tour (a real one, on site... not on streaming) on 5th of december 2012: it was a wonderfull experience and now I can't wait for this "live" streaming version. Thank you SO much ROH!!!! I hope to be a professional dancer someday and I love watching anything to do with the dance world, and of course, the ROH!!! It's my 60th Birthday on the 7th January, and I am travelling up from flood-worn Devon to see la Boheme - even if I have to walk through the floods! It will be wonderful to watch the live streaming all day on my iPad, a lovely build-up to the evening. Thanking you in anticipation of a terrific day. Hi Chris! You said there will be highlights available online after the 7th January. My question is how can I watch the full "behind the scenes" after the event on Monday. Thanks in advance. We'll have selected highlights on our YouTube channel with the full day available to watch via The Space. I am so excited about this magnificent event, although it will mean waking up at 4.30 a.m. I am specially looking forward to seeing my fellow countryman Rolando. It is nice that you will have the full programme available at a later stage, just in case I fall asleep! mention is made of the multiple camera angles available for viewing the last act of "walkure" is this exclusive to thespace.org? i understand that villazon has cancelled the "boheme" for the 7th-will he be appearing in this "live" presentation (other than on tape)? very much looking forward to this. thanks ROH!! Glad to hear you are have been looking forward to Royal Opera Live. You should be able to make the most of the multiple camera angles viewing on The Space http://www.thespace.org, and will be able to view normally on The Guardian http://www.guardian.co.uk or The Royal Opera House website http://www.roh.org.uk. Looking forward the timetable for tomorrow. All the best for this great day! 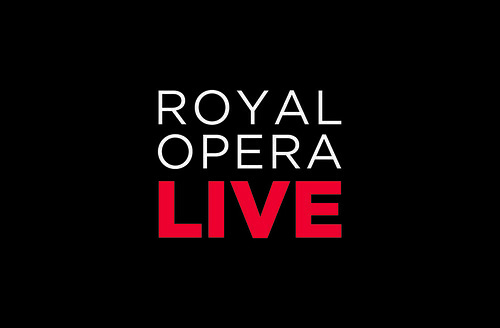 Royal Opera LIVE is available via our website, The Space and the Guardian - all for free. It is also available on Freeview if you have broadband connected. Great initiative! Well done ROH Education again! Thank you so much for the streaming event 1/7/13! Please do more on-line performances in the future. Until now, I have been limited to only Metropolitan Opera events, which are often wonderful, but sometimes not so much, and are quite limited in number. I recently watched your production of Tosca via You Tube and it was marvelous! Georgiu and Kaufmann were exceptional and Bryn Terfel was the best Scarpia I have seen since I saw George London in the role in the late 1950’s. (Yes, I am that old!) Your performance cleansed the bad taste I had experienced from the horrible Met Opera Tosca of several years ago. The ROH has gained another American fan! A massive 'thank you' to all those who prepared that monumental programme! It really turned our attention from the great singers we love to hear to the hundreds of committed specialists behind the scenes who make their performances possible. We watched from Switzerland where a combination of two computers and one mobile phone kept at least one screen glitch-free throughout the day. Highlights for us included all the coaching, particularly the La Boheme duet and Va Pensiero. The backstage version of Act III was unforgettable (what a totally unflappable mistress of ceremonies in charge!). The La Donna del Lago staging presentation told us a great deal about where all the money goes and the Onegin rehearsal snippets were highly thought-provoking. THANK YOU, THANK YOU, THANK YOU.